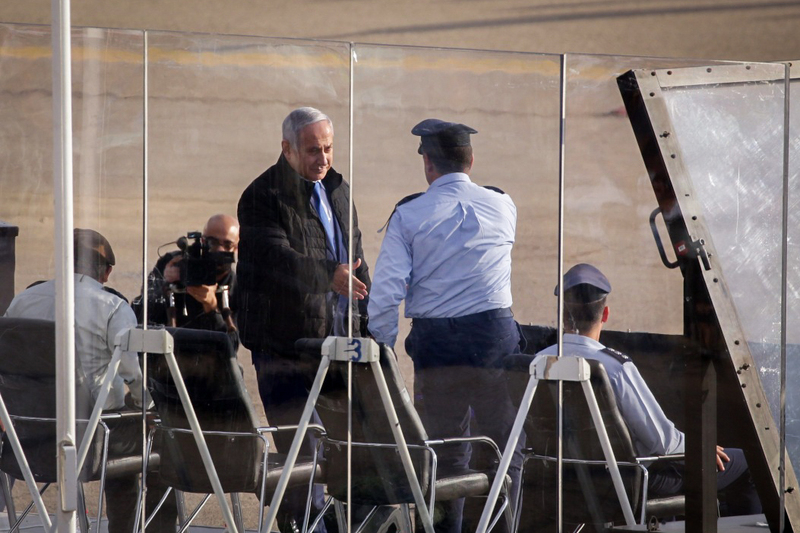 Brushing aside Russian criticism of a reported Israeli airstrike in Syria overnight, Prime Minister Benjamin Netanyahu on Wednesday doubled down on Israel’s policy of attacking Iranian-linked targets in Syria. 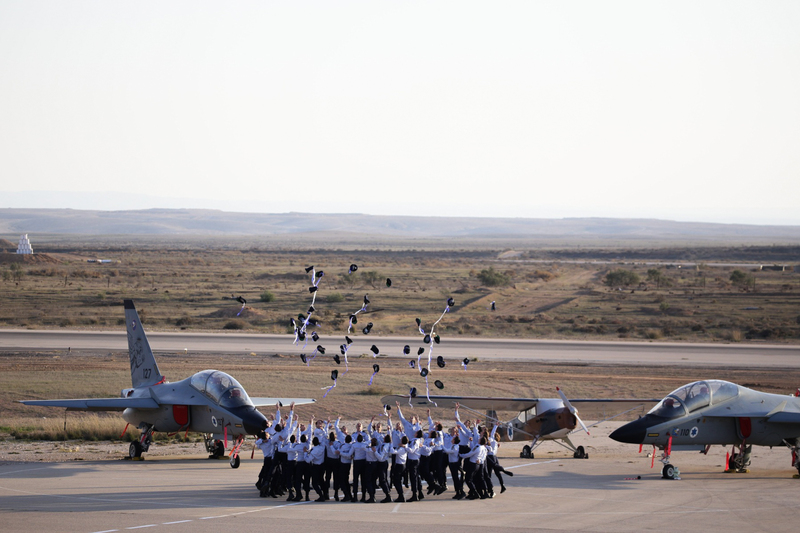 “We will not abide an Iranian entrenchment in Syria,” Netanyahu, who is also the defense minister, said at a graduation ceremony for fresh Israeli Air Force pilots at the Hatzerim air base in the south. “We are taking action against it aggressively and powerfully, including in these very days,” he said. The Israeli air force’s capabilities are unmatched, and can reach arenas “near and far, very far,” he added. US President Donald Trump surprised the world and many of his own officials by announcing last week that he would pull all 2,000 US soldiers in Syria out of the warn-torn country. Israel is concerned that Iran will take advantage of the military vacuum to expand its entrenchment in Syria. The Russian military earlier criticized Israel, which it said was responsible for the airstrike Tuesday night near the Syrian capital, saying it had endangered civilian flights. Moscow has provided military resources and air power to help its Syrian ally end a civil war which has dragged on for seven years. Russian Defense Ministry spokesman Maj. Gen. Igor Konashenkov said that six Israeli F-16 jets launched the “provocative” raid at the moment when two civilian airliners were preparing to land in Damascus and Beirut, creating a “direct threat” to the aircraft. Israel is widely believed to have been behind a series of past airstrikes that targeted Iranian and Hezbollah forces fighting alongside the government in Syria. The Britain-based Syrian Observatory for Human Rights, a war monitor, said Tuesday’s Israeli strike targeted three positions south of Damascus that are arms depots for Lebanon’s militant Hezbollah group and Iranian forces. Also Wednesday Russia’s Foreign Ministry said that Moscow expects the Syrian government to take over the areas where the US troops are currently deployed following their withdrawal. Ministry spokeswoman Maria Zakharova emphasized that the territories in eastern Syria should be handed over to the Syrian government in line with international law. She said Moscow is unaware of any details of the planned US withdrawal from Syria, but added that the move would help peaceful settlement in Syria if implemented. Turkey has said it is working with the US to coordinate the withdrawal of American forces but remains “determined” to clear US-allied Kurdish fighters from northeastern Syria and has been dispatching tanks and other military units to the border area. This entry was posted on December 27, 2018 at 10:59 AM and is filed under Uncategorized. You can subscribe via RSS 2.0 feed to this post's comments. You can skip to the end and leave a response. Pinging is currently not allowed.